26" wide x 10" high x 4"
This hand forged iron Woodland Single Hook has a natural black finish. this sturdy rustic hook is at home in the hall for coats or in the bathroom for towels. 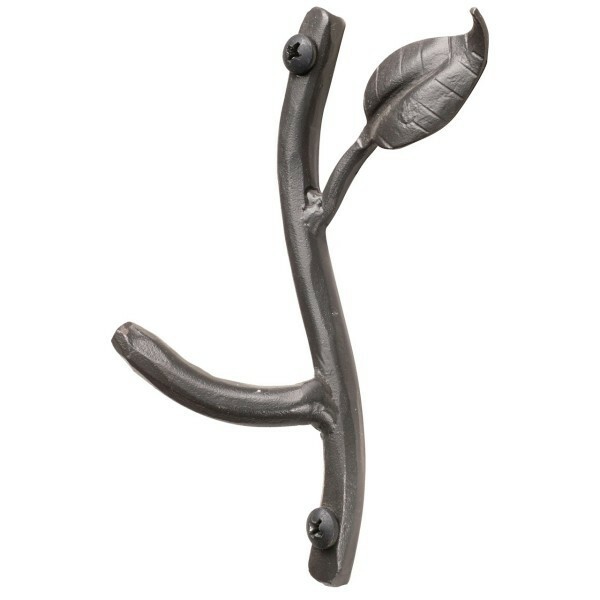 This hand forged iron Woodland Single Hook has a natural black finish. this sturdy rustic hook is at home in the hall for coats or in the bathroom for towels. measures 5" high.